The picture shows girls wearing red shirts with an image of terrorist Dalal Mughrabi and the following text: "Dalal Mughrabi Festival"
Posted text: "During her participation in the Dalal Mughrabi (i.e., terrorist who led murder of 37, 12 of them children) Festival, held at the Beitunia Elementary School for Girls in the presence of the director of the district's Education Directorate (i.e., branch of the PA Ministry of Education) and the mayor of Beitunia, [District Governor of Ramallah and El-Bireh] Dr. Laila Ghannam emphasized that our children, who are suffering from the occupation's brutality, are determined to continue on the path with the same certain steps, towards the realization of the national rights. She explained that it is the right of these generations to live in freedom and dignity on their land, far from the occupation and its tyranny..."
Posted text: "O sister of free women and men, bride of Jaffa – glory to you, O one who carried out a glorious act. 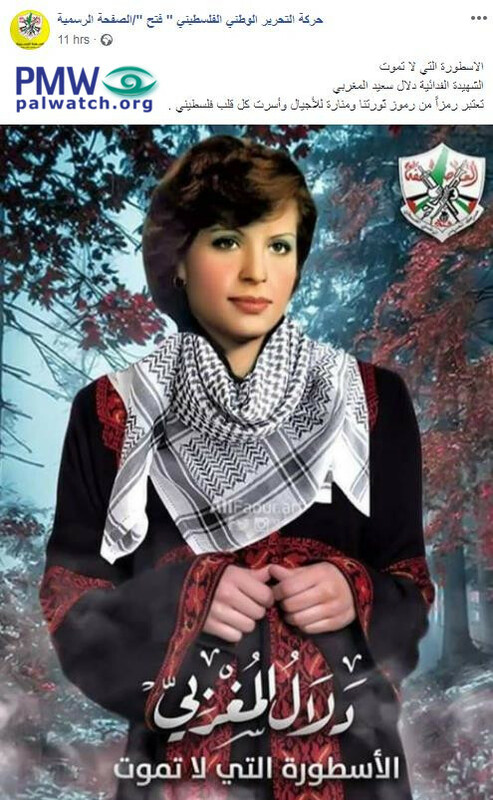 Dalal Mughrabi (i.e., terrorist who led murder of 37, 12 of them children), who one day established a republic for Palestine." 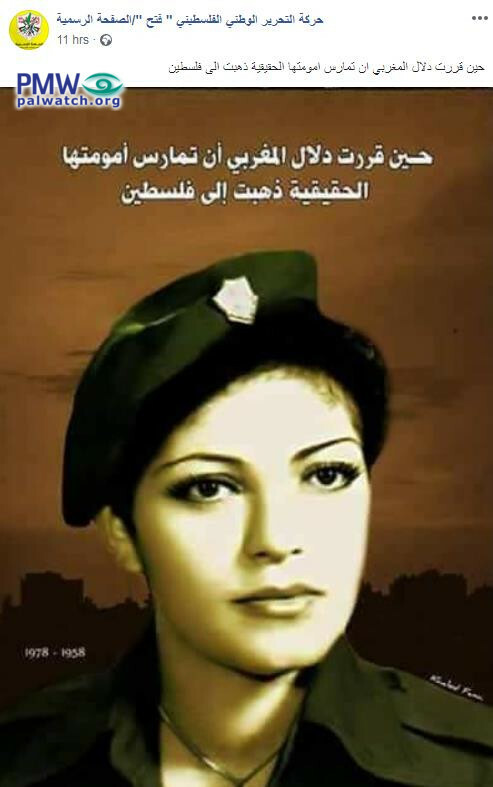 The legend that will not die"
Headline: "Today is the 41st anniversary of the death as a Martyr of fighter Dalal Mughrabi"
On the morning of March 11, 1978, Mughrabi disembarked from a boat passing opposite the Palestinian coast together with her squad… Dalal and her squad succeeded in reaching Tel Aviv (sic., the terror squad never reached Tel Aviv) and took over the bus with all of its soldier passengers (sic., only civilian passengers were on the bus), while outside the bus the battle continued with other Israeli soldiers. Hundreds on the Israeli side were killed and wounded (sic., 37 murdered and 70 wounded)..."
Dalal and her squad succeeded in reaching Tel Aviv (sic., the terror squad never reached Tel Aviv) and took over the bus with all of its soldier passengers (sic., only civilian passengers were on the bus), while outside the bus the battle continued with other Israeli soldiers. Hundreds on the Israeli side were killed and wounded (sic., 37 murdered and 70 wounded)..."
Official PA TV narrator: "For decades her reputation has spread and her name has been famous – Palestinian Martyr Dalal Mughrabi… Iron woman Dalal Mughrabi commanded the Deir Yassin squad, which was composed of 12 self-sacrificing fighters – on the orders of General Commander of the Palestinian Revolution Forces Khalil Al-Wazir 'Abu Jihad' – that carried out the Kamal Adwan operation… [The members of] the Kamal Adwan squad died as Martyrs, 37 Israelis were killed, and 80 others were wounded… And since Martyrdom is a dream, the story of Dalal Mughrabi's life is not forgotten and remains in the minds of the revolutionaries and free people of the world. Moreover, time has not succeeded in erasing her name from the minds of the occupation leaders and [Israeli] army generals, given that the quality operation came as a surprise and showed the inability of Israel's security. Dalal Mughrabi is a woman who removed the barriers of tradition and broke the social taboos when she went to find freedom and led a path of struggle and defense…"
Official PA TV newsreader: "May Allah have mercy on Dalal Mughrabi." 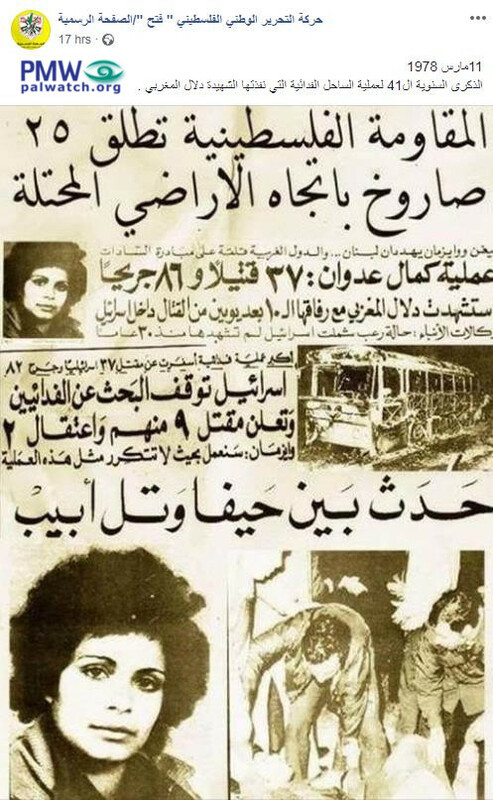 The 41st anniversary of the self-sacrificing coastal operation, which was carried out by Martyr (Shahida) Dalal Mughrabi (i.e., Coastal Road massacre, 37 murdered, 12 of them children)"
The image shows a page from an unidentified newspaper from the day after the Coastal Road massacre led by terrorist Dalal Mughrabi, in which 37 were murdered, 12 of them children. 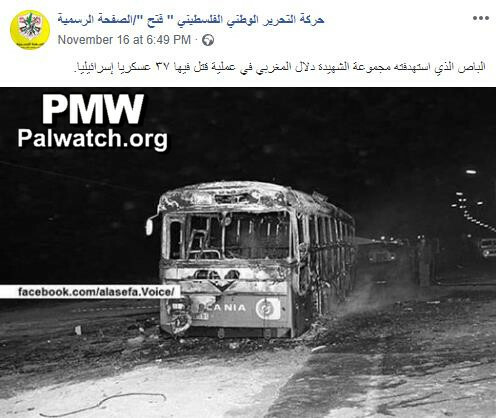 The page is covered with articles about the attack, including pictures of Mughrabi and the remains of the bus she and her terror squad hijacked and blew up. To Paradise together with the prophets, the righteous, and the Martyrs"
"The legend that will not die, self-sacrificing fighter (Fida’iya) Martyr (Shahida) Dalal Sa'id Mughrabi (i.e., terrorist who led murder of 37, 12 of them children), considered one of the symbols of our revolution and a beacon for the generations. She has captured every Palestinian heart." 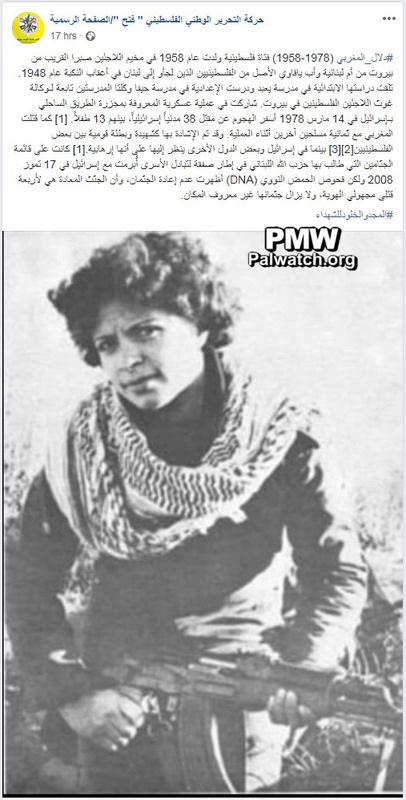 Posted text and text at top of image: "When Dalal [Mughrabi] (i.e., terrorist who led murder of 37, 12 of them children) decided to fulfill her true role as a mother, she went to Palestine (apparently implies that Dalal Mughrabi became the symbolic mother of “the Republic of Palestine” and of future generations of Palestinians through her attack –Ed.)" 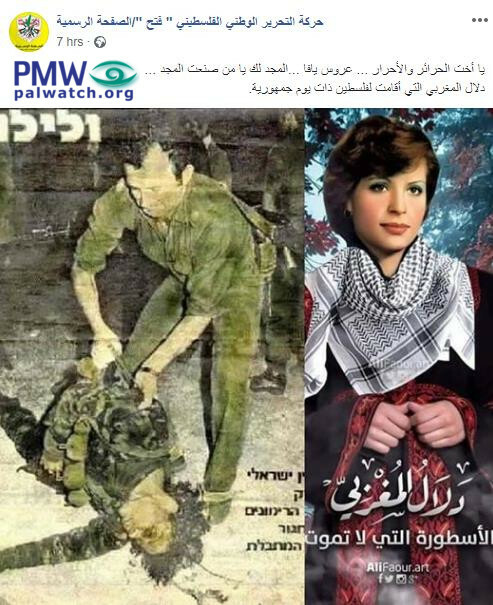 The image shows terrorist Dalal Mughrabi – who led the murder of 37, 12 of them children – in a military uniform. 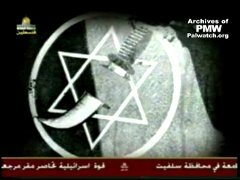 Dalal Mughrabi – female Palestinian terrorist who led the most lethal terror attack in Israel’s history, known as the Coastal Road massacre, in 1978, when she and other Fatah terrorists hijacked a bus on Israel's Coastal Highway, murdering 37 civilians, 12 of them children, and wounding over 70. 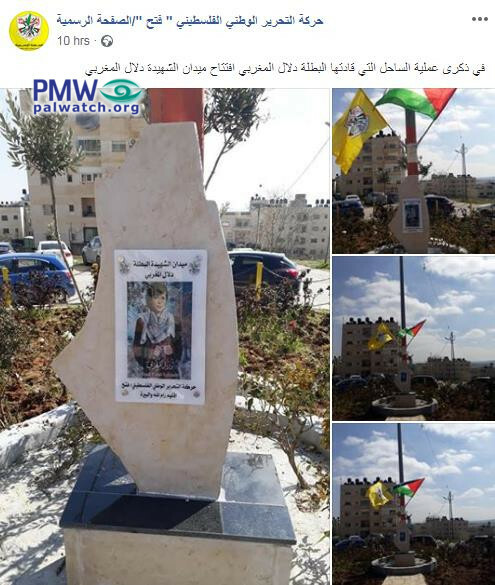 “For eight years the inauguration of Martyr (Shahida) Dalal Mughrabi (i.e., terrorist who led murder of 37, 12 of them children) Square in the Um Al-Sharayet area of Ramallah has been postponed. Despite the establishment of the square and the preparations for all that is befitting of the Martyrs, Rashida Mughrabi – the sister of Martyr Dalal – received a phone call that she described as ‘rephrehensible.’ In the call it was said that ‘The inauguration of the square has been postponed until further notice.’..". During the weekly procession in Ni'lin, the anniversary of the death of the heroine of the coastal operation, Dalal Mughrabi (i.e., terrorist who led murder of 37, 12 of them children), was commemorated. The worshippers prayed behind the health center and then the procession set out in the direction of the wall (referring to the Israeli security wall –Ed.). [The participants] waved Palestinian flags and pictures of the Martyr (Shahida) [Dalal Mughrabi]. Tires were burnt, and pictures of the Martyr were hung on the cement wall." 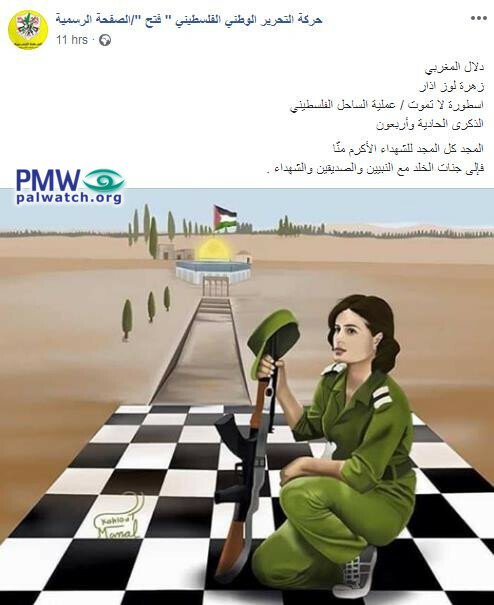 Official PA TV reporter: "Palestinian women have created a history filled with their resolve, with their strength, and [for] some of them – with [sacrificing] their freedom in prison… Through their Martyrdom-deaths Palestinian women have participated in chapters of struggle in the most prominent events in Palestinian history. It will never be possible to review the struggle of the Palestinian women without [mentioning] the two self-sacrificing fighters Dalal Mughrabi and Laila Khaled – the first woman who hijacked an Israeli plane – as the most prominent names of the Palestinian resistance." 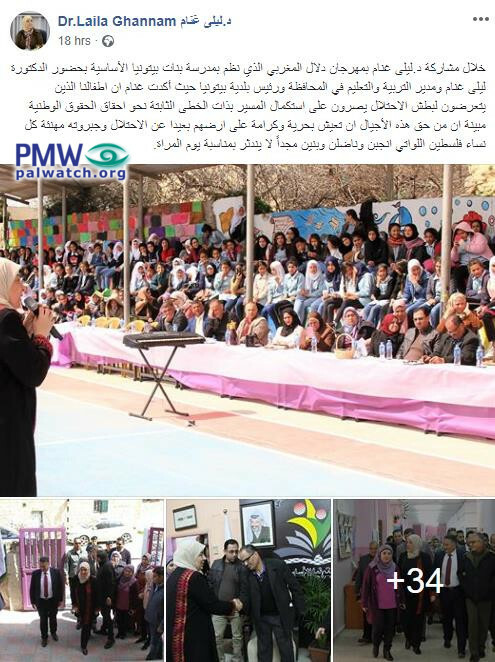 Official PA TV host in Gaza: "Today [on International Women’s Day] we are telling the Palestinian women that they are the headline of the Palestinian cause with their resolve and patience. All of our blessings to the Palestinian female prisoners, to the wives of the prisoners, to the mothers of the prisoners." Director of the Palestinian Women’s Union in Gaza Amal Hamad: "We bless the female and male prisoners and our Martyrs with all blessings. They have stood by the men … The women were the first to take part in the battle. That is why we also have female Martyrs – Shadia Abu Ghazaleh, Dalal Mughrabi Wafa Idris, Ayyat Al-Akhras, Darin Abu Aisheh, and Razan Al-Najjar… Today, the Palestinian people in its entirety participates in the true battle of the national struggle that is greater than every secondary social battle here and there." The image shows terrorist Dalal Mughrabi – who led the murder of 37, 12 of them children – wearing a keffiyeh (Arab headdress) and holding an assault rifle. The picture shows the remains of the bus that was attacked in the 1978 Coastal Road massacre, led by terrorist Dalal Mughrabi, in which 37 Israelis were murdered, including 12 children. Posted text: "The bus that was targeted by Martyr (Shahida) Dalal Mughrabi's squad in the operation (i.e., terror attack) in which 37 Israeli military personnel were killed (sic., they were civilians, including 12 children)." Image and text posted on the official Fatah Facebook page. 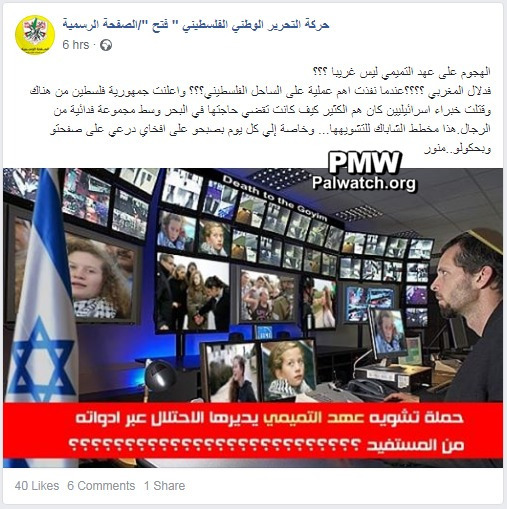 Fatah edited a pre-existing antisemitic photoshopped image to demonize Israeli security services. 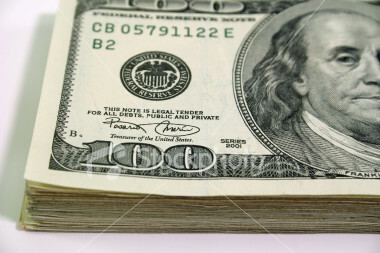 Click "full article" below for more information. 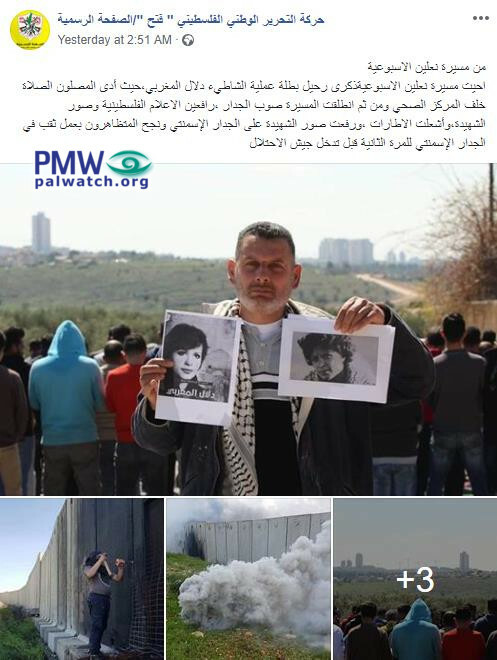 Posted text: “Isn’t the attack against Ahed Tamimi (i.e., Palestinian teenager who served 8 months for incitement and assaulting Israeli soldiers) strange?? ?